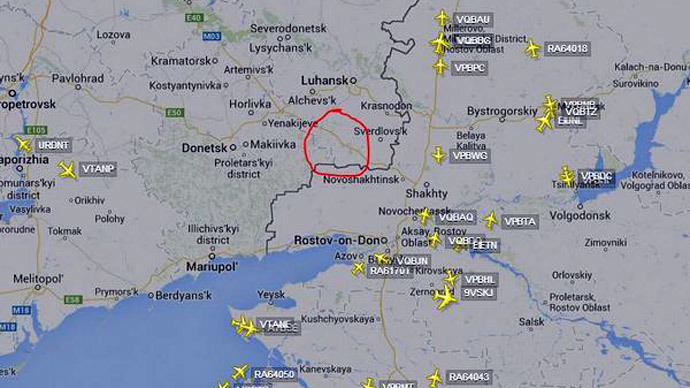 A Malaysia Airlines’ Boeing-777 with over 290 people on board has crashed in Ukraine, close to the border with Russia. Both Kiev and the opposition deny involvement in the incident. 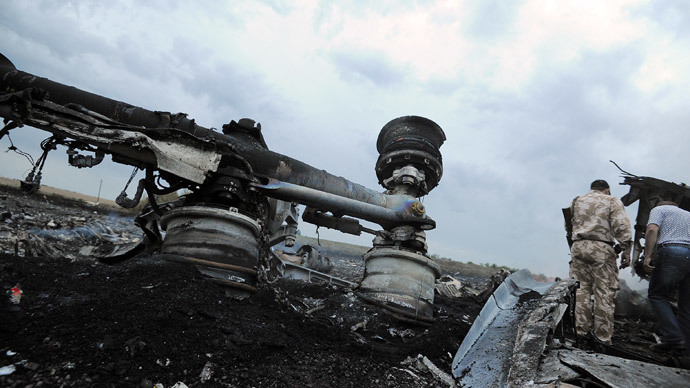 Malaysia Airlines has lost contact with the plane when it was flying over Ukrainian soil. 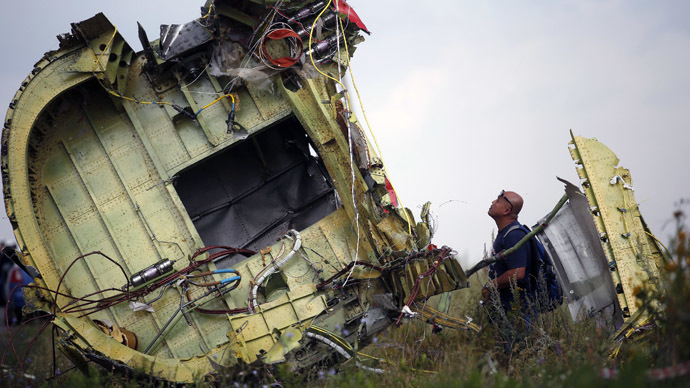 The head of the Ministry of Internal Affairs of Ukraine Anton Geraschenko confirmed the plane carrying 283 passengers and 15 crew members fell. 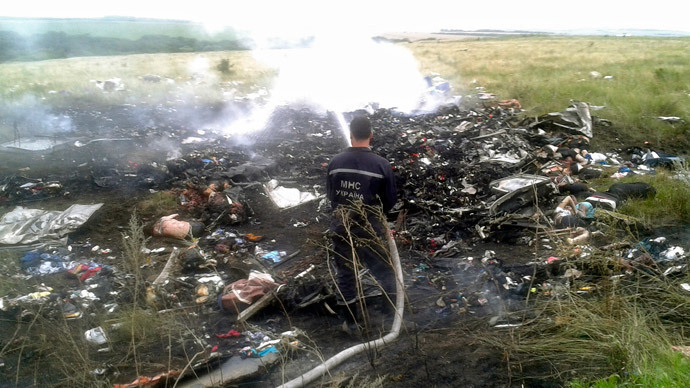 Residents have reported finding debris from a plane, which they say could belong to the Malaysian Boeing. They said that several dozen dead passengers have been found. The Donetsk People’s Republic claims its self-defense forces simply don’t have such military equipment. 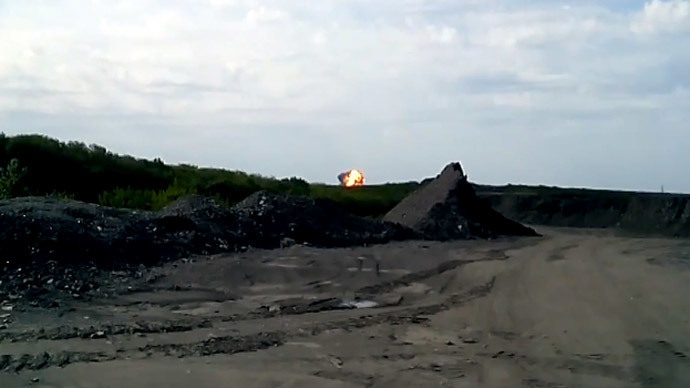 Donetsk People's Republic PM Aleksandr Boroday has called the incident a“provocation by the Ukrainian military”. Russian Defense Ministry has confirmed that according to its information Ukraine had deployed several Buk systems with at least 27 missile launchersin the Donetsk region. “According to the Russian Defense Ministry information, units of the Armed Forces of Ukraine located in the crash-site are equipped with anti-aircraft missile systems "Buk-M1” ... These complexes in their tactical and technical characteristics are capable of detecting air targets at ranges of up to 160 kilometers and hit them at full altitude range at a distance of over 30 kilometers,” the ministry’s statement reads as cited by Ria. 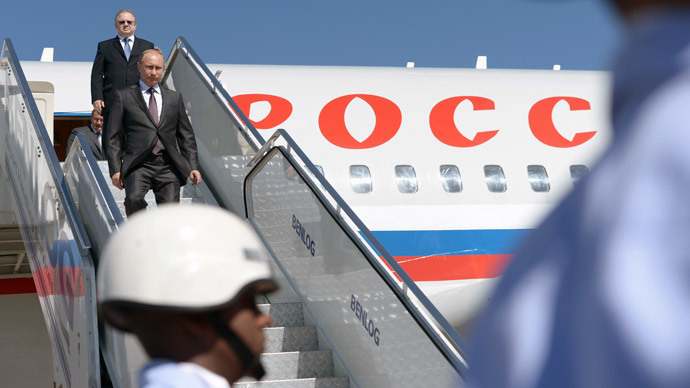 Experts stress that aircraft flying at an altitude of over 10 kilometers can only be targeted by C-300 class weapons or ‘Buk”. “Soldiers told us that there are bodies scattered all around the area… They’re waiting on the prime minister of the Donetsk People’s Republic to come and inspect the area,” he told RT.